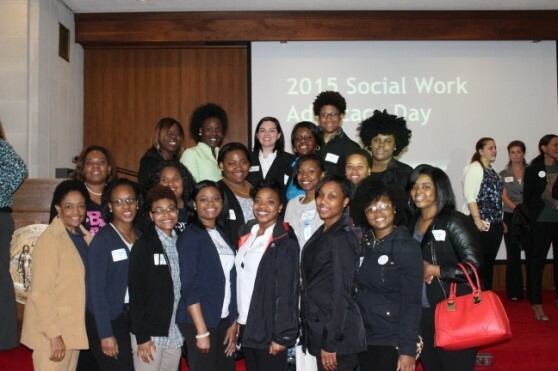 Social Work Advocacy Day 2015 was a huge success thanks to over 500 social workers and social work students who gathered at the North Carolina General Assembly in Raleigh on March 25th. Students and social workers traveled from all over the state to learn how to advocate and talk with their legislators about the important issues they see as social workers and social work students in their agencies and communities. Kay Castillo, Director of Advocacy, Policy, and Legislation for the National Association of Social Workers, NC Chapter, started off the morning with two Advocacy 101 sessions to help ease participants’ nerves before talking to their legislators. Priority issues discussed during the training included needed changes to help older youth transitioning out of foster care, funding for mental health services in incarceration facilities, and maintaining the current standards for Medicaid eligibility. Mrs. Cast illo was also joined by Jenny Gadd of Alberta Professional Services, Jack Register and Nicholle Karim of the National Alliance on Mental Illness, and Matt Anderson of Children’s Home Society. All of these macro social workers from the community came to educate attendees on their role as a social work advocates and what their job entails. Each speaker offered new and inventive ways for social workers to understand the value of advocacy and empower them to become more active in policy changes as social workers and on behalf of clients. 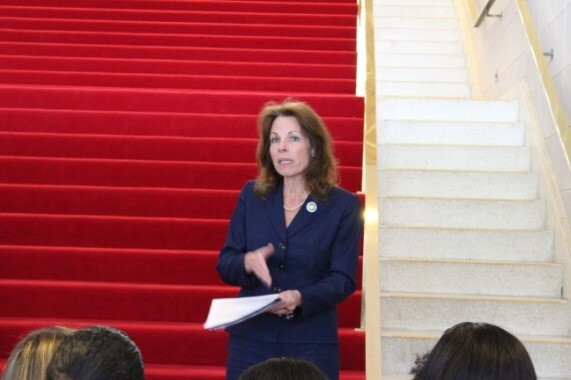 One high light of the day included a press conference by Senator Barringer on bills she introduced that day that directly related to our priority issue around older youth transitioning out of care. Senate Bills 423 and 424 would raise the age of foster care to 19, create policies so youth in foster care can live normal lives and participate in after school activities and sleepovers with friends, assist in getting drivers licenses and better support for foster parents. As a result of so many attendees at the press conference, Senator Barringer addressed Social Work Advocacy Day participants that could not get into the press room afterwards. Representative Gra ig Meyer, a social worker representing House District 50, came and discussed his role as a social worker in the House of Representatives and the challenges he faces. Having a variety of speakers, gave insight into the power and breadth of the social work profession. As social workers left to attend meetings with legislators, they spoke on important topics of homelessness, Medicaid, elder abuse, suicide prevention, youth in foster care, and so much more. 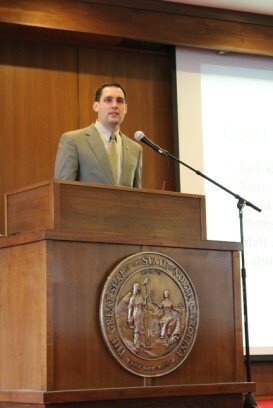 Bringing these issues to their elected officials brought North Carolina one step closer to change. As Representative Meyer stated: “Today social workers won because they came and they created change.” After a long day of advocating a social work student stated: “It was such an amazing feeling thinking that I made a small difference. It was great being surrounded by fellow social workers and made me very excited to start my future social work career.” We hope that everyone felt empowered and heard at Advocacy Day and that you will continue to use your voice as a way to support social change. 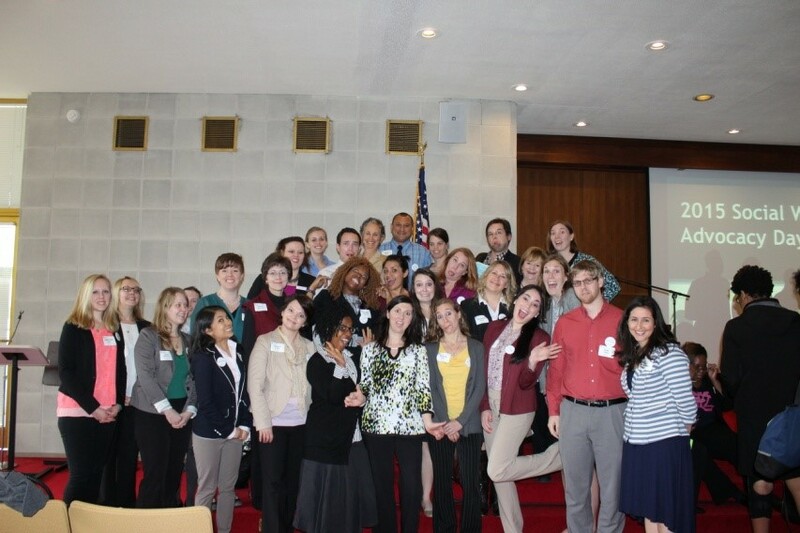 Check out the 2015 Advocacy Day photo album! 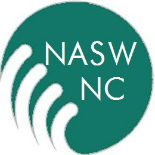 This entry was posted on April 8, 2015 by naswnc in Advocacy and tagged Foster Care, macro practice, macro social work, Medicaid, mental health, NASW-NC, NCGA, NCSocialWorkAdvocacy, Social Work Advocacy Day.